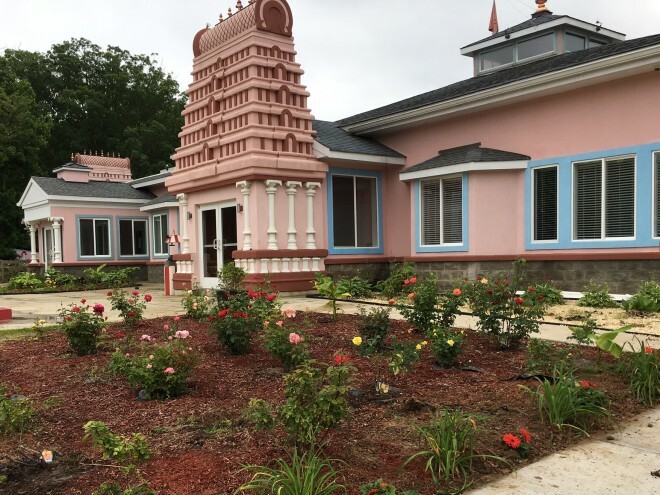 When you come to Sri Sai Narayana Organization facility, you will be amazed by the various flower plants and trees, and you will notice the fragrance coming from these wonderful plants. 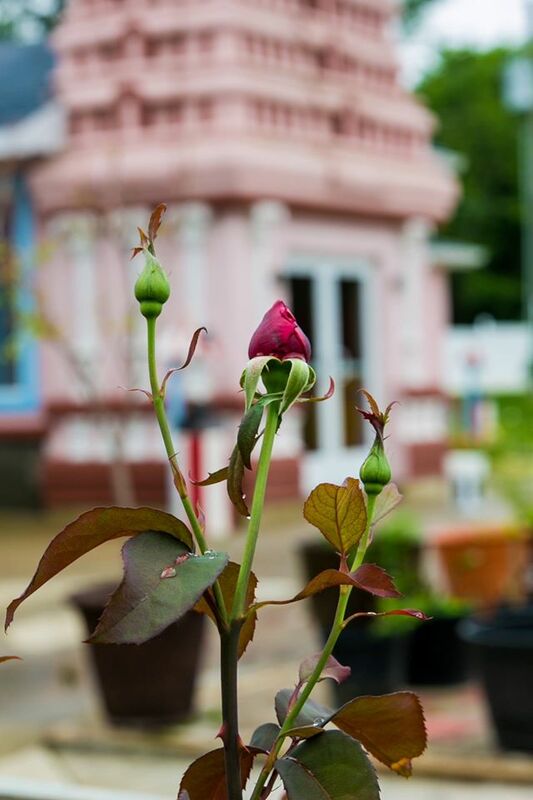 Our garden is aptly named ‘Sugandha Vanam’ (Sanskrit for Fragrant garden) is home for thousands of plants that give immense pleasure and serene ambiance to everyone’s enjoyment. 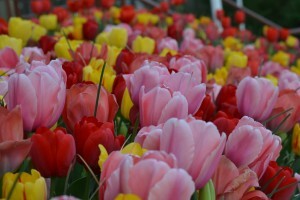 Great gardens don’t spring up overnight. 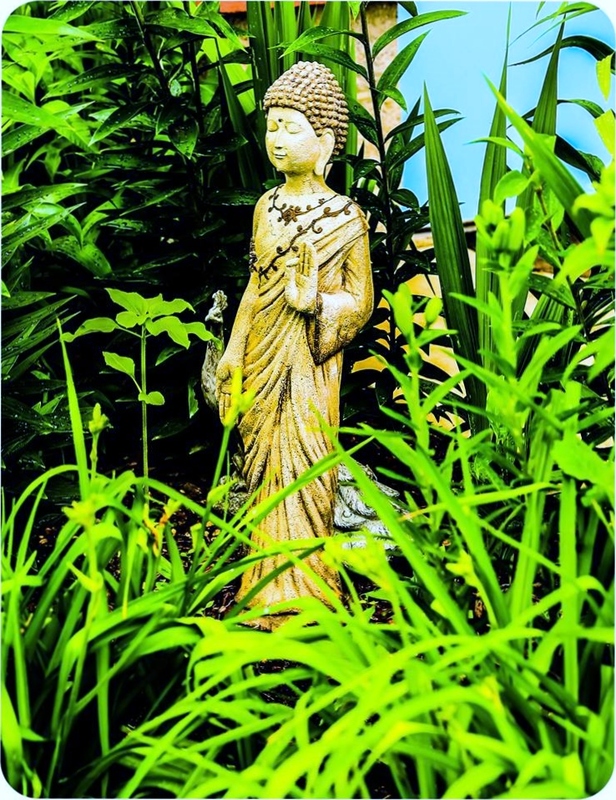 Our garden started with a simple vision – “To create and maintain a tranquil garden that appeals to all our five senses and enchants the mind with its beauty and peacefulness”. We consider our Sugandha Vanam as a Community Development project, as it helps bring the community together to work as a team, and also helps in individual development. We believe that the garden ground sparks a passion for plants and envision a community that respects the natural world and looks to nature for inspiration. It will also help us protect our environment!!! 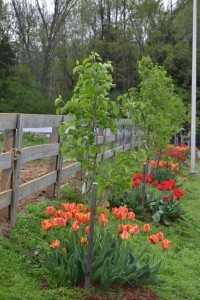 Fruit orchard – over 60 fruit trees consisting of Peach, Pear, Apple, Plum, Cherries and Fig. Exotic tropical flowering plants including Hibiscus, Jasmine, Arali (Nerium), Vaadamalli (Globe Amaranth), Champaka (Tuberose) and Sunflower. In addition, we also have a beautiful, natural pond with a water fountain surrounded by trees. This pond is a home for hundreds of colorful Koi Fish. People can enjoy the serene atmosphere and forget about the urban life as they walk along the path around it. We believe that seeding and nurturing a plant or tree is one of core service any one can do to preserve the nature and help the society at large. 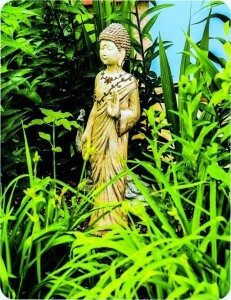 Gardening work provides a simple avenue for doing physical activity, it also helps immensely in relieving stress and promotes inner peace and joy, growing seeds for one’s spiritual development. We think our Garden provides a great service opportunity to members of our Community as it helps bring people together, and also helps in nurturing care and compassion. As Rudyard Kipling implied in the above quote, it takes lots of dedication and effort to develop a garden and sustain it. Thanks to the dedication and passion of our volunteers, we have come along quite a journey towards fulfilling the vision set to ourselves, we still have a long way to go. And we need more help from all to continue to grow our garden and maintain. In addition, we have several projects in the pipeline, and all are welcome to participate in our gardening projects and reap the benefits. People from all age groups, including children can come to volunteer at Sri Sai Narayana Org, and learn gardening tips & techniques. You don’t need any experience – Our seasoned team are eager to provide guidance and training in all aspects of gardening. Our garden team works every weekend and also does watering every day. Pick a day/time that is convenient for you. Landscaping around shading trees and sit outs in tree shades.